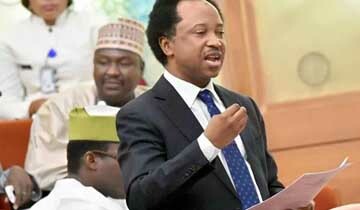 The Senator representing Kaduna Central in the Senate, Shehu Sani, has warned that the All Progressives Congress risks being voted out of power in 2019 if the killings perpetrated by Fulani herdsmen continue. Sani, who spoke at the Oyo State Press Centre, Ibadan, on Saturday, during the 5th Development Summit of the Olalekan Olomide Platform for Development, said a party that failed to ensure safety of human lives and means of income as well as their property lacked the moral right to ask for peoples’ votes in an election. Senator Shehu Sani (APC-Kaduna) says the All Progressives Congress (APC) must put its house in order to emerge victorious in the 2019 elections. He noted however that the party had achieved successes in other areas. He said, “We must honestly admit that there are successes achieved by this administration but mindless killings, violence and sheding of peoples blood in most states of the federation are mind-boggling. The crisis is also a threat to the peace and unity of Nigeria. The killings are not acceptable and that is why I said the President must stand up to the reality of our country today. He disclosed this while speaking on Saturday at the Fifth Olalekan Olomide Platform for Development held at the Nigeria Union of Journalists (NUJ) Press Centre, Iyanganku in Ibadan. Mr. Sani is the Chairman, Senate Committee on Local and Foreign Debts. He said the ruling party had been enmeshed in various crises at different levels since 2015, and such cracks need to be addressed for the party to emerge victorious in the 2019 election. “I believe that the reconciliatory committee led by the APC National Leader, Asiwaju Bola Tinubu has started a good job and I believe it can achieve a lot. “Some of the critical areas that need to be seriously addressed are the crises between senators and governors and the gap between the party and National Assembly (NASS). “There is also the seeming cold war between NASS and the executive,” Mr. Sani said. He said the APC must get its house in order for it to confront various challenges bedevilling the nation. Mr. Sani said the APC-led administration in the country had achieved some successes, particularly in the area of insurgency and the image of the country which is presently on the positive side. “On the economy, there is drastic reduction in corruption, but the mindless killing in some parts of the country is mind-boggling; this is a serious threat to the peace of our nation,” he said. According to him, the killing is unacceptable and the president must stand up firmly against it. The lawmaker described the South West region as the heartbeat of the APC, saying when the party suffers a stroke in the region it would lead to devastation. Mr. Sani categorically opposed the call for creation of state police. “Our crisis in Kaduna is an APC affair; the crisis got to this stage because our party failed to resolve it till it got to the stage of demolishing party’s secretariat. The lawmaker said his recent revelation on the salaries of lawmakers was to save the dignity and integrity of the National Assembly that had been stained. He urged Nigerians to brace up and demand to know the running cost of the presidency and the judiciary for accountability.